Introduce minimalist magnificence to your ensemble with the stunning clarity of the Movado Bold watch. Two-hand analog display with Swiss-made quartz movement. Silver-tone sunray dial face with rose gold-tone sunray dot at 12 o'clock. K1 crystal window with highly reflective silver-toned metallization. 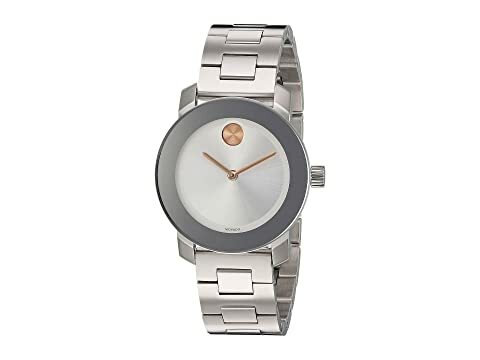 We can't currently find any similar items for the Bold - 3600433 by Movado. Sorry!